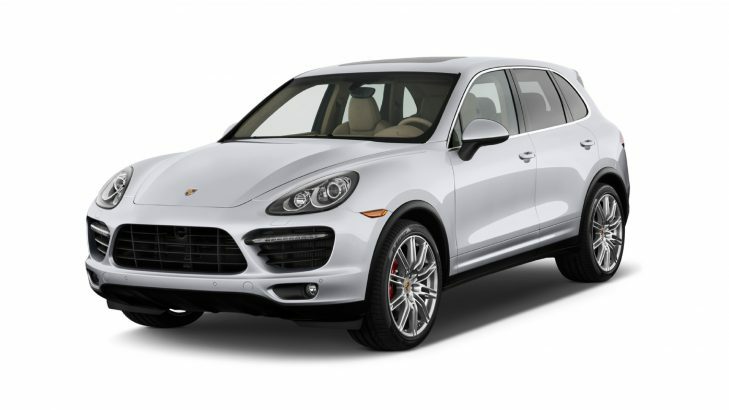 The Porsche Cayenne is a mid-size luxury crossover SUV produced by the German car manufacturer since 2002. Spicy-hot mix of luxury and sports-car performance, the Porsche Cayenne delivers incredible value. It is practically tremendous at many things with ‘supreme’ performance being one. Packed with an all-new 8-speed tiptronic transmission gearbox and a standard AWD system across all variants, the sports car is offered in varied powertrain choices under petrol and diesel guises. Made for the elite class, the flagship Porsche SUV price starts at above INR 1 Cr for the base model. The luxury SUV seizes exceptional technology, amazing drive dynamics, ultimate snob value and of course – a privileged brand name. Well, in a word, the Porsche Cayenne is EVERYTHING. The Porsche Cayenne SUV model is made available in as many as 7 trims to choose from. The Cayenne Platinum Edition Petrol, Cayenne Platinum Edition Diesel, Cayenne Diesel, Cayenne S Petrol, Cayenne S Diesel and Cayenne GTS trims are equipped with 255/55 R18 radial tubeless tyres with light alloy wheels of 18-inch rim size whereas the Cayenne Turbo trim comes fitted with 265/50 R19 radial tubeless tyres with light alloy wheels of 19-inch rim size. The Porsche Cayenne is more practical and more luxurious than ever before. Built on an all-new platform – the VW group’s MLB platform – the same one on which the Audi Q7, Bentley Bentayga and Lamborghini Urus are based, the layout of the drivetrain and the three-chamber adaptive air suspension, electric roll bars and rear-wheel steering is shared with others from the MLB family. Cayenne pits against Jeep Grand Cherokee, BMW X6, Land Rover Range Rover Sport and others in this coveted space. The front-end design includes fascinating headlight design, the signature large grille with large air dams, which provide it a sharp yet elegant look. The Porsche Cayenne is no doubt a sharper, more direct and more responsive drive than Bentley Bentayga and the Audi Q7. So while rivals can match it in certain areas, it’s impossible to choose one of such all-encompassing ability. The cabin is luxuriously appointed with leather and Alcantara around. The dashboard is decorated with a 12.3-inch HD touchscreen infotainment system in the centre and the interface can be customised as per desire. The centre console also controls various car systems such as suspension and traction control. The finely crafted dashboard looks slimmer, with excellent materials, finish and features. Other autonomous functions include the air suspension with Porsche Active Suspension Management, Porsche Entry and Drive, lane-keeping pilot, active cruise control, collision warning, rear cross traffic alert, panoramic sunroof and a 360-degree camera views, Wi-Fi hotspots etc. The heart of the Porsche Cayenne is its powertrain. Switching to MLB means a downsizing in engine sizes, nevertheless resulting in more power. The 3.6-litre V6 diesel engine churns power of 245 PS at 3800-4400 rpm and 550 Nm at 1750-2750rpm, making the car reach 0-100 kmph in 7.3 seconds with the maximum speed of 221 kmph. The 3.6-litre V6 petrol engine in the Cayenne produces a power of 300 PS at 6300 rpm and torque of 400 Nm at 3000 rpm. Zero to 100 kmph comes up in 7.7 seconds and the top speed is rated at 230 kmph. Moreover, the 3.6-litre 24V V6 petrol engine in the Cayenne S produces the power of 420 PS at 6000 rpm and 550 Nm at 1350-4500 rpm, which can reach 0-100 kmph in mere 5.5 seconds with the maximum speed of 259 kmph. The 3.6-litre 24V V6 petrol engine in Cayenne GTS pumps out a max power of 440 PS at 6000 rpm and 600 Nm of torque at 1600-5000 rpm, which can reach 0-100 kmph in 5.2 seconds and can reach at the maximum speed of 262 kmph. The 4.2-litre V8 diesel engine in Cayenne S churns power of 385 PS at 3750 rpm and torque of 850 Nm at 2000-2750 rpm. The heaviest of the lot, the 4.8-litre 32V V8 petrol engine in the Cayenne Turbo erupts a power of 520 PS at 6000 rpm and peak torque of 750 Nm at 2250-4000 rpm. From nothing to 100 kmph comes up in 4.5 seconds and reaches up at the top speed of 279 kmph. The 4.8-litre 32V V8 petrol engine in Turbo S Petrol blows out the highest power of 570 PS at 6000 rpm and torque value of 800 Nm at 2250-4000 rpm, making the car reach 100 kmph from standstill in just 4.1 seconds. The top speed can be recorded as 284 kmph. All the engines of the Cayenne Porsche SUV work on 8-gears automatic paddle shift transmission. The Porsche Cayenne Platinum Edition costs Rs 1.23 Cr., Diesel is priced at Rs 1.29 Cr., Platinum Edition Diesel at Rs 1.31 Cr. S Petrol is priced at Rs 1.37 Cr., S Diesel costs Rs 1.56 Cr., GTS costs Rs 1.6 Cr., and Turbo is priced at Rs 2.02 Cr. The price of all the variants mentioned is as per the on-road price (including GST) in New Delhi. The table below will help you to understand the tyre size that fits in your Porsche Cayenne variant. *The above-mentioned tyre brands and variants are recommended on the basis of inquiries received at Tyremarket.com. Prices as on 23rd July 2018.